Adventure Balloons is committed to doing its part in maintaining a sustainable environment. In a perfect world we would all be carbon neutral and create no waste, unfortunately in our industry that’s just not possible, so we have taken actions to rebalance our environmental position. Here are some of the ways in which we try to reduce our impact on the environment. 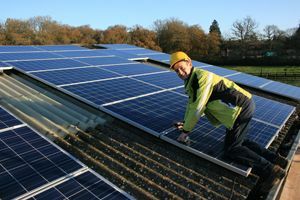 In 2011 we became the first and only UK balloon operator to date to install Solar panels. Our Hampshire Office and our balloon storage shed have 120 solar panels export over 200 Kilowatts of electrical energy to the local grid on an average sunny day. So in addition to covering the majority of our office’s electrical consumption we supply the daytime needs of up to a dozen local houses in the area with the sun’s energy. 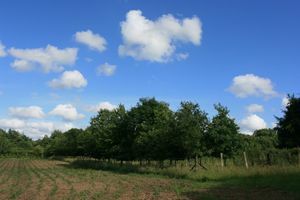 Outside our Hampshire hot air balloon rides office we have planted some lovely specimen trees that we purchased from the well known Westonbirt Arboretum in 2006. Prior to this in 2001 we planted over 100 native species trees (oak, ash, maple, beech), which live on the hillside visible from the windows of the office. In 1996 we planted over 1,500 hedging plants of native species in the areas around our office and balloon store buildings when these were built. So we have been green long before it became fashionable! And our south facing panoramic office windows mean we rarely need to use artificial light in our office. In fact we generally have to use the blinds (made of wood of course) to keep the sun out which is also better for our staff to work in. 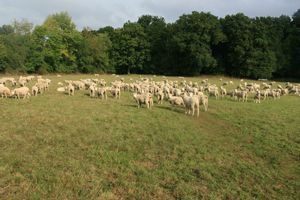 To get the most sustainable benefit from our 3 acre balloon take off site near Hartley Wintney in Hampshire this year we broke from our previous habit of just mowing the grass to keep it short. We cut a circular outline to make sure the grass was not long where our balloon rides passengers walk and let the rest grow. A cut of silage in early July produced enough feed for a dozen cattle for the winter. It also created a better environment for the local bee population. And the autumn regrowth of grass has been polished off by a herd of sheep shipped in from a local farmer. So instead of wasting diesel mowing the launch site every month, we have put something into the local food supply chain. All the champagne bottles and their cardboard boxes used during our balloon flights are recycled. We recycle printer ink cartridges and separate our rubbish including composting which is used to grow food in our garden. We have a collection of Mercedes G Wagens which run our balloons around to our launch sites and pick them up from our landing sites. 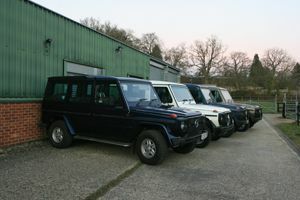 These classic 4x4’s are maintained to the highest standards so that they last for ever (some are already 25 years old) and when they enjoy a “deep service” every 5-10 years we use local labour. 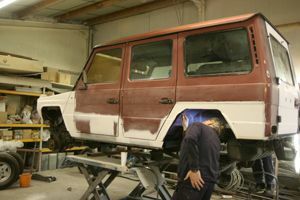 Not only do we save all the energy required to manufacture a new 4x4 by doing this but our G Wagens run on liquefied petroleum gas (LPG). This is a clean and convenient source of energy and helps reduce emissions compared to running them on petrol or diesel.